Sustainable societies are those that embrace infrastructure and lifestyles. That means – meet the current needs without compromising the ability of future generations to meet their own. Sustainable techniques are gaining popularity throughout the United States with individuals and communities. Sustainability is important to cities because people are using resources at a rate that are far exceeding the ability for the planet to sustain us. We’re really just using too much of the planet resources in order to live sustainably and comfortably for the next generation. Emerging green techniques can really help us manage stormwater runoff in a much more sustainable manner. Some of the techniques we can use are – rain gardens, green roofs, rain barrels – and all types of techniques to collect rainwater and reuse it. Using them will also help us reduce our carbon footprint and make our homes more sustainable. Our goal must be to really mimic the natural water systems. We have to follow that natural water cycle through our construction and development. What we must really do, is take the water slow it down, spread it out and soak it in. Green techniques like rain gardens allow water to soak into the ground and be absorbed by plants, instead of going into the storm sewer and having our downstream water resources polluted. 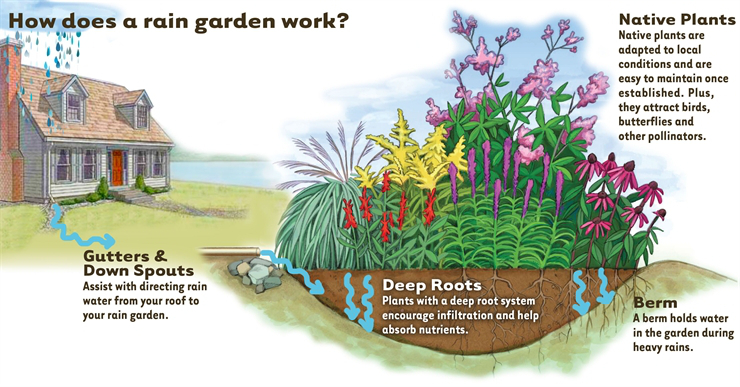 Rain gardens are very easy tools for soaking up and absorbing rainwater on-site. They are a small depression not terribly deep that catch runoff from rooftop downspouts, driveways, and other hard surfaces. They retain the water rather than just letting it run off-site. Gutter and down spouts assist with directing rain water from your roof to your rain garden. Deep root plants encourage infiltration and help absorb nutrients. Native plants are adapted to local condition and are easy to maintain when established. Plus, they attract birds, butterflies and other pollinators. Berm holds water in the garden during heavy rain. By spreading that water out, slowing it down and holding it for just a short while, we’re letting it soak back in replicating the natural processes. And they can be any size, they don’t have to be huge. The first step in a rain garden is to check your soil drainage – ideally the perfect situation is to have about an inch of drainage per hour. We then will make a shallow depression, we’ll take the soils there in that depression and we will use them. We then mix the compost and pine bark in those, just organic material so we’ve got well-prepared rich soil for the plants. Mixing in compost and other organic materials is critical to provide food for the plants and to improve the soil texture, so that the water can soak in better. You have to choose plants in the garden with the number of objectives in mind. For example, if choose flowers that are going to grow easily without a lot of care or pick plants for specific environments – the question of irrigation will be a big issue. Select plants that you are going to be happy with the amount of water that you give them. If you combine that technique with other techniques – like using rain barrels so that you’re capturing water that you can use later in your garden – you can dramatically reduce the amount of water that’s coming off of your property, plant other types of flowers and do an awful lot to benefit the environment. Not only do rain gardens help absorb stormwater but they provide habitat for wildlife and improve the aesthetic value of your home. More than one green technique can be used to create a more effective multi-layered approach. Green roofs can be used with rain gardens to protect water quality by capturing and slowing down rooftop runoff. Green roofs also help cool our planet. The benefits of a green roof are numerous. Form the reduction of a building’s energy needs (especially for air conditioning), increase in habitat (reducing a footprint of a building), also reduction of pollutants (from the stormwater). But some of the things are benefits that often are overlooked and one of those is the improvement of the longevity of the roof. So if you have a day with ambient temperature of about 70 degrees, partly cloudy – the temperature on the average roof will be over 160 degrees. As a result those materials that are used – a traditional asphalt shingle – is expanding and cool down at night. Because of that you have expansion and contraction combined with the UV light and that’s why a 30-year shingle never lasts 30 years. By putting in a green roof can actually prolongs a life. One of the main benefits to having a green roof is its potential to reduce the amount of stormwater runoff. Many studies show that during the summer in the Northeast you can trap 100% of the that runoff. 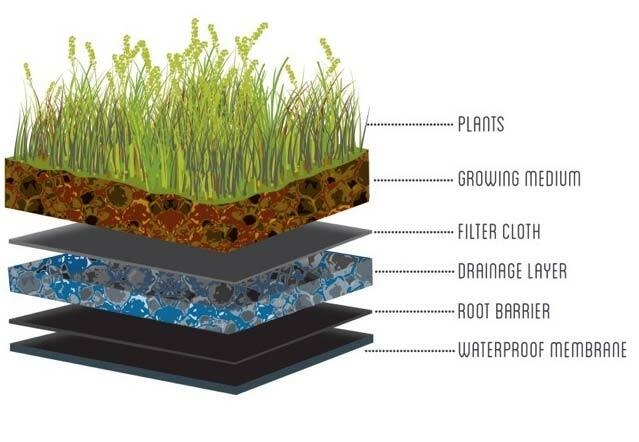 Those benefits can continue throughout a calendar year and over fifty five percent of the water can be trapped by a green roof. What that does, in addition to decreasing the amount of water that’s going off into our streams and causing flash floods, it also is trapping many of the pollutants that come with stormwater runoff. 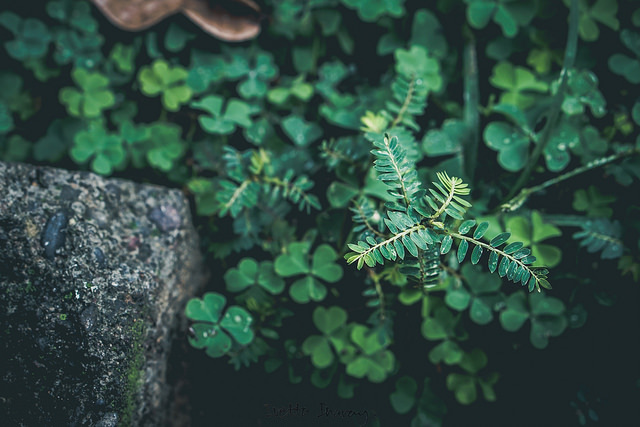 By going through a green roof the plants, and more importantly the natural bacteria that are within the media, will actually use that as a food resource. One of the questions often ask is what type of buildings are best suited for green roofs. And the answer is – wide open. You can use it from residential to commercial to industrial applications. Rain barrels are an easy do-it-yourself green technique that collects rooftop runoff into a barrel. The tap and hose at the bottom of the barrel allow easy access to the water so that it can be used later to water your plants. Rain barrel can be attached to the downspout in the gutter to collects the water. Most of the time the water is collected form the roof through the rain gutter, down the downspout, with the help of the downspout diverte, right in to the barrel. You want to keep you barrel accessible and you can make it with plants around it to hide it. The barrels are wildly available. Look on the internet to find a local source. A lot of municipalities have them available for residents. You can also find it at Do It Yourself stores, hardware stores, and most garden centers. Cisterns are very similar to rain barrels but on a much larger scale. Some cistern can hold up to 6,000 gallons. This much water can be used for large landscape projects. Using green techniques at your home or business can help make our planet more sustainable by reducing the impacts associated with stormwater runoff. To learn more about how you can incorporate these green techniques visit the websites of both the US Environmental Protection Agency and the US Botanic Garden.